Lan Kwai Fong - How to get the most from you HK night out!!! Have a break at Lan Kwai Fong! Here's a tourist guide in getting to Lan Kwai Fong, the Hong Kong's most popular and well known place for a night out. Lan Kwai Fong is perhaps Hong Kong's most popular and well known area for a night out and Hong Kong's top entertainment districts. Boasting numerous bars, pubs, clubs and restaurants, it is a popular choice for the well off locals, expatriates and tourists. Hong Kong's famous restaurant and pub quarter lies next to the central business district, but exists as if in a different dimension. With over 100 restaurant and bars lining cobblestone streets, it is Hong Kong's premier place to go for drinks, festivals and parties. It is the Hong Kong's most popular entertainment district. Most of the action is centered around the rectangle formed by the L-shaped LanKwaiFong and the parallel D'Aguilar Street, but the next streets out (Wyndham and Wellington) are usually considered to be part of the district as well. It is a bar district called "the Fong," which really shines after the sun sets. You can start with a predinner drink at any number of bars, then enjoy some of the territory's finest dining, before stopping at a nightclub to boogie the night away. Full of gweilos and filth, its bar after bar that is spilling with people out onto the street in every direction. It is a place that has to be experienced with it's loud music blaring into the street and the night life of Hong Kong. People from all walks of life enjoying a drink with friends and work colleagues. Lan Kwai Fong, the city's premier bar and nightlife district, has been undergoing something of a renaissance over the past few years by adding a wide range of new activities and promotions. The idea behind this initiative has been to cash in on its image as one of Hong Kong's top entertainment districts. LanKwai Fong is a good place for business men and women to gather for a beer that is priced out of this world. Happy hour is reasonable at around HK$30, but regular price is something like HK$80 in the nicest of bars. Drinks were quite expensive inside so students or younger adults would buy drinks at 7 Eleven for less than HK$10 or something and they will hang outside the bars where they could still hear the music and talk with their friends. The place is overcrowded at Friday and Saturday evenings, however during the week finding a chair there is no problem as it is a little bit empty then. Situated among the shopping district of the city, the Lan Kwai Hong Kong is within steps of shopping malls and entertainment venues. In addition, the diners, restaurants, and cafes of the Soho district are just minutes away. Area attractions include Man Mo Temple, Possession Street, Hollywood Road, the Hong Kong Convention and Exhibition Center, Hong Kong Park, Temple Street, and the Peak. The Lan Kwai Fong Hong Kong is less than ten miles from the train station. Available travel amenities provided by the hotel include rental service and shuttles to and from the ferry terminal and the train station. There are one hundred sixty three rooms at the Lan Kwai Fong Hong Kong Hotel, and each room includes an array of amenities. Each room includes a view of the city, the harbor, or the mountains. Amenities include minibars, coffeemakers, and in-room safes, private bathrooms with showers, flat screen televisions, and balconies. Modern Chinese style is included in the thirty-three stories of the Hotel Lan Kwai Fong Hong Kong. The hotel offers such amenities as conference and business areas, laundry service, a currency exchange, a fitness center, 24-hour reception, and massage services. Dining: Michelin One Star Restaurant, provides a luxury dining experience and let gourmets to taste the nostalgic Cantonese cuisine. Our Chef Cheng is admired by celebrities in town. Bird nest in Chicken Wings, Famous "Celebrity" Fried Rice and Almond Tea with Egg White are some of the unique dishes with healthy and beauty in mind. Location: Lan Kwai Fong Hotel @ Kau U Fong is located between the bustling Central and Sheung Wan business districts on Hong Kong Island. Moments away from Landmark, IFC, Exchange Square, The Centre and Cosco Tower. It is in the perfect location for the trendy dining, nightlife and entertainment area of Lan Kwai Fong and SoHo. 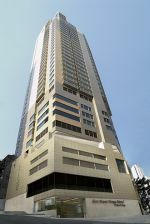 Hotel is well covered by transportation network, MTR, Star Ferry, Airport Express Hong Kong Station and Hong Kong Macau Ferry Terminal within walking distance. Art galleries, designer boutiques and antique shops scattered around create an unique artistic and cultural atmosphere. Scheduled complimentary shuttle bus service is available to Airport Express Hong Kong station which provides the most convenient way of getting around. book a room at Lan Kwai Fong Hotel Hong Kong. Here's to see more hotels near Lan Kwai Fong or around Hong Kong Island area. Take an MTR train (or the Airport Express trains that will get you to the Central MTR Station) and look for Exit D2. Walk along Theatre Lane and up D'Aguilar Street, then walk about five minutes to Lan Kwai Fong. And if you want to explore other Hong Kong tourist attractions, please click here to view interactive map.